Check out why Legends 35+ might be the best fit for you! 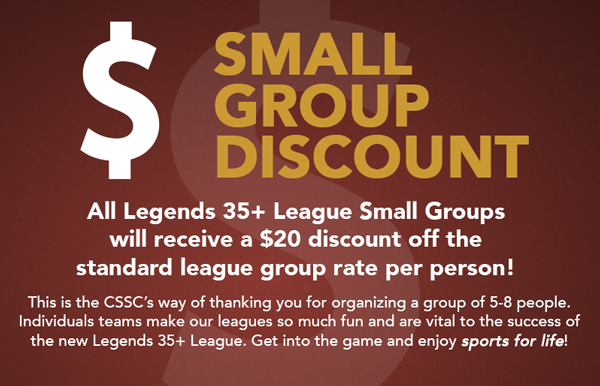 The CSSC is proud to offer a Legends 35+ League, Calgary’s first and only co-ed sports league geared towards the needs of players 35 years old and up. With an emphasis on the CSSC’s motto ‘fun-first, winning-second,’ the goal is to bring 35+ players and teams together to play ‘Sports For Life’. These leagues are for Calgary Legends only; all players must be at least 35 years old at the time of registration. You can sign-up for any CSSC Legends 35+ League as a full team, with a few friends, or as an individual. 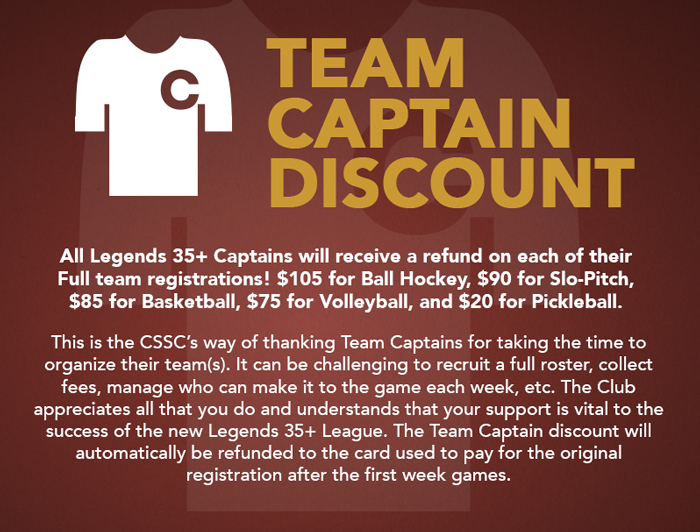 If you sign up with a few friends or as an individual, the CSSC will pair you with other Legends to form a full team. It’s a great way to be active and meet like-minded people!